San Diego, California. The name of this modern day Valhalla conjures up images of moderate and sunny weather, oceans and beaches. It has become a paradise for desi families in search of the best places to live in the US. 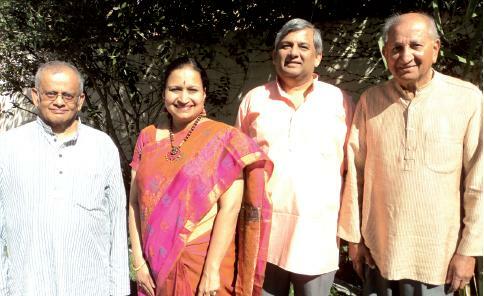 More recently, San Diego has also become known for its vibrant Indian Fine Arts Association (IFAASD). 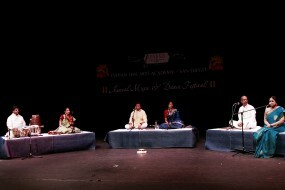 At a time of declining interest in the classical arts, this city has suddenly become a centre for presenting concerts and workshops and an exuberant performing arts festival, showcasing mostly Carnatic music interspersed by a few dance and Hindustani concerts. 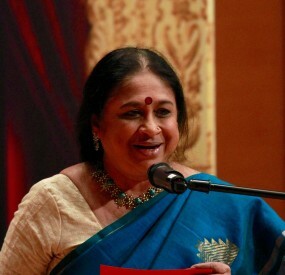 The March festival quickly grew into a 6-day gala boasting senior artists from India, local artist performances, home cooked food and strong attendance. There seems to be something in it for every interest. The festival programme and attendance would be the envy of larger cities like NYC and LA. What is more, it runs without the obligatory children’s competition to boost attendance and visitors from afar – no mean achievement in the recent “my children should perform, you should listen, I will video and leave immediately following their slot” culture. And the city has come almost out of nowhere to bag one of the top spots in the country as a flourishing south Indian performing arts venue. How did this happen and so quickly? To find out, I meet some of the trustees of the IFAASD at the home of Revathi and Ramachandran Subramanian in Del Mar Heights. They quickly arrange a sumptuous potluck dinner meeting on a weekday; perhaps an indicator of the interest, enthusiasm and energy that drive the leadership of this group. C.M. Venkatachalam and Revathi Subramanian are well known music teachers in the city. Shekar Viswanathan is IFAASD’s president and Srinivasan Praba its treasurer. They all meet me to talk about IFAASD. I asked a single question and the group began sharing thoughts in a free discussion and flow. In order to be successful, you must have 300 to 500 attend. In the beginning we only had a hundred or so at each concert. When we advertised that very good food would be available we started seeing much higher numbers. We then struggled the next year to increase the attendance. We then introduced the requirement that family membership or subscription was a requirement for children to participate and sing in the festival. Between these initiatives the attendance has increased. Once you have a certain critical mass, it builds rapidly as members get their friends interested. Because the festival is spread over four days it draws interest. The idea is to keep the children and their families involved. Without that it would be very difficult. Our committee is idea-wise very diverse but we are united in our objectives. We advertise in a consistent way. We send out very good fliers. Our venue with the large auditorium in a community centre with everything under one roof has been crucial to our success. We have worked hard to attract everyone in. And nothing succeeds like success. When people hear that a concert played to a packed audience, they also want to attend. 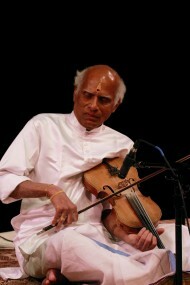 L. Subramaniam, Mandolin U. Shrinivas, SPB and other artists have been a big draw. We have also shown that we are responsive to the community interest and open to entertainment as well as classicism. In some communities in the US, there is a disconnect between music teachers and music societies. How have you been able to bridge that gap in San Diego? We are surprised that this gap exists in other communities. We feel our children learn from their exposure to visiting artists and we have checks and balances. We have teachers like Neyveli Santhanagopalan, Seetha Rajan and others who have attended our music classes and then given us feedback. Many teachers also teach on the weekend and concerts represent an interruption in the teaching schedule. How does that play out in San Diego? In the first year we had a lot of resistance from students and parents. We had to explain repeatedly that the teacher was not getting a commission from IFAASD, that membership was really for the benefit of the children. After the third year it has become more or less accepted. But even in San Diego, not all teachers require their students to attend concerts or be members. We also use recordings and concerts to teach music. We encourage the children, require them to attend and listen to concerts. We have concert reviews as part of the classes. We use these tools to also teach expression. Though we have a dance teacher on our board who encourages all her students to attend, this is not as widespread among dance students in the community as it is with music students. We have made people realise that they will get high quality programmes and a festival which is a big community draw. We are very well connected to the community at large. We include many local artists in our festival and we have diverse programmes including Odissi and other arts. We started this five years ago. Organisations in other cities have been in existence much longer. We have accomplished a lot with the festival programme. 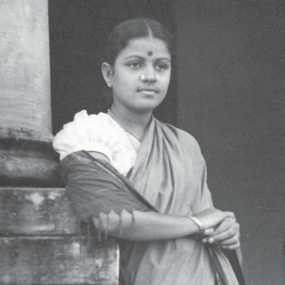 Shekar, Revathi, and Venkatachalam are all involved in music and devote much time. Our membership has grown year after year. We have now about 300 memberships, representing almost a thousand people. Many local employers match their contribution. All of this has put us in a very sound financial position. Membership averages a cost of five dollars per person per concert. Our connection to V.V. Sundaram and Cleveland makes a huge difference. We repeatedly speak to them. They have a large budget. Their model used to be to bring artists and then arrange tours for all of them. This festival now gives them an assured budget from San Diego. We bring some of our own artists as well. Sundaram is also receptive to our artist requests. So it is a very open relationship. Dance has become popular. 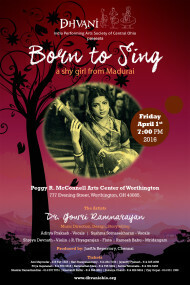 We have one Hindustani concert as well. We bring artists from Andhra, Karnataka and Kerala so that we can expand the audience base. If every family were to show up for any one concert, we could not accommodate all of them in the auditorium. 2008 was the first year and we did not have enough cash, but we took the risk and went ahead and it worked out. We offer such good programming that some people voluntarily give donations because we are doing good work. There is a whole big committee behind all this to coordinate the food, make sure everyone who enters the hall has bought a ticket (laughter), that all the artists are hosted. It’s a lot of work. Our goal is to duplicate the Margazhi Mahotsavam in San Diego; we also want to promote the arts and it becomes a fun event for the whole community. When we sell the tickets it does not feel that way but when people get to the last day of the festival they come and speak of withdrawal pangs. Ours is a committee-run organisation. We do not have voting members because then it would become very difficult to make decisions. We don’t spend all our time on deciding the concerts we will have. Instead, we spend more time on arranging the logistics. Sixteen years ago we had one or two Navaratri events, but now each of us gets 30 or more Navaratri invitations. All our students learn songs specially to sing at Navaratri. 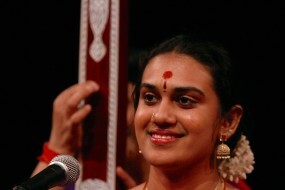 That tells us Carnatic music has become an “in” thing to do in San Diego. Aruna Sairam says there are 1000 people in the hall when she sings in Paris and they are all locals, not desis. We too are trying to expand our reach beyond the Indian community. We want to take it to the next level. We want to make sure the music is spread. The conversation turns to the food and the imminent dinner. I get to taste and experience the delicious food of the type prepared for the festival – from vegetable puffs to badam halwa. The discussion is over and we are all in festive mood. The excitement and enthusiasm are palpable. Obviously they are proud of what they have accomplished and with good reason. This year the festival begins on a Tuesday evening and runs to Sunday evening.